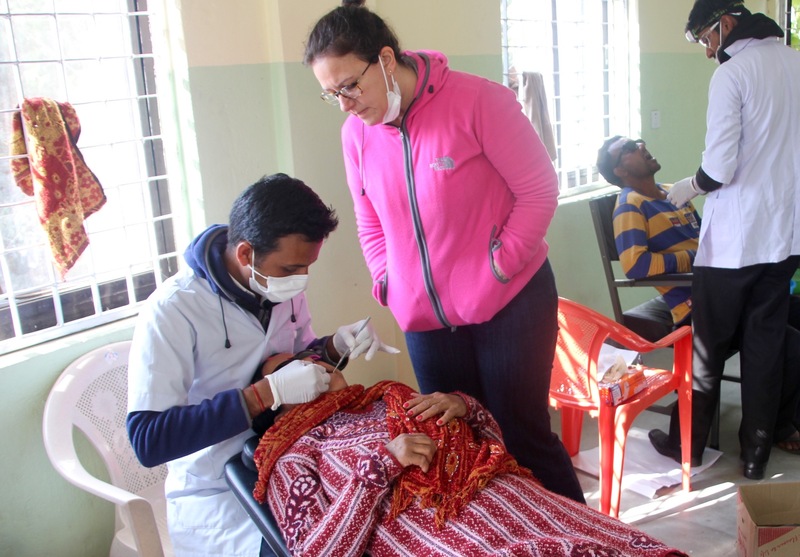 Welcome to the Summer 2017 edition of American in Nepal Doing Dental Care and Other Impossible Pursuits. This season will feature a number of high profile guests, including my cousin Sara and a return to the set by Dr. Keri the Pediatric Dentist from UConn. Additionally, we have a nail-biting plot lined up for you. First of all, last month Nepal held its first local elections in about 20 years. Why are you biting your nails over this? Because in working to change the health care system in rural villages in Nepal, the posse of bandits that is Jevaia Foundation spends a great deal of time building relationships with local government leaders, a quest peppered with uncertainty, adventure and drama. Presently, in addition to a fleet of newly elected politicians all over the country, there has been some government restructuring, and now nobody is totally sure about things such as who is in charge of distributing funds that were allocated last fall for stuff like, oh I don’t know…let’s just say rural dental clinics. So, we literally have no idea what government we’re dealing with on day by day basis, and that’s about 75% of the reason we exist. 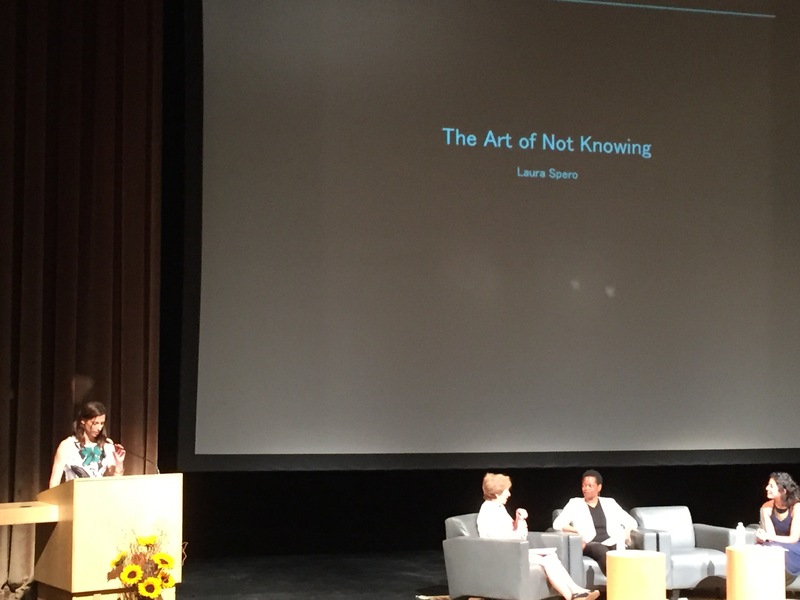 On that theme, two weeks ago I gave a short talk at my Williams College Reunion called The Art of Not Knowing (beginning at 29:45). The other women on this panel were powerful ladies pioneering in the fields of journalism and feminism and are well worth a few minutes of time to listen to. In my ten minutes, I talked about being a restless college student coming from privilege, women as athletes, and the impact of 9/11 happening my senior year of college as these things relate to my work in Nepal. Back to other coming attractions. In July Dr. Keri will be leading a second training for our technicians and clinic assistants, along with – TADA! – our new Medical Coordination Officer, hygienist Rajendra Sapkota. With Rajendra’s help, we’re going to be strengthening our referral system with city hospitals. We’re preparing for the launch of just one new clinic this year, in Hansapur, and the rest of 2017-18 will be devoted to revisiting our 8 established clinics, upgrading technician skills and equipment, and going back over the community and school programs in all of those villages. And now it’s time for…a plot twist! Three weeks ago, I’m in the car when Bishnu calls and tells me that she applied for a visa for Aamaa to come see her graduate from her Master’s program in Information Technology (that’s our Bishnu!). And somehow, in some inexplicable alignment of cosmic unlikeliness getting turned around and coming out possible instead, Aamaa has scored a five year multiple-entry visa to the United States. She now has the best visa in the family, and it appears that I when I land back in the US in two months, I will have Aamaa in tow. I can comfortably say that there is not one step of that journey that I can visualize once we get on the bus that leaves Kaski. Aamaa has never even been to Kathmandu. The furthest reaches of my mind cannot conjure what she will think of JFK airport. worlds, you see how quickly things become stuck, how easily even small power becomes narrow-mindedness and false complacency disguised as expertise or experience. I have been thinking about this a lot. In my final blog entry last summer, I wrote about visiting a mosque in Kazakhstan, having been mostly isolated from the news for two months, and how I wondered that the most urgent fixations in one place are completely irrelevant someplace else. I have the same feeling now as I shift back in to the part of my life where my own obsessions in the U.S. are passing trivialities. If I stayed in one location, they would become deeper and more rigid. But I have been given this lucky between. 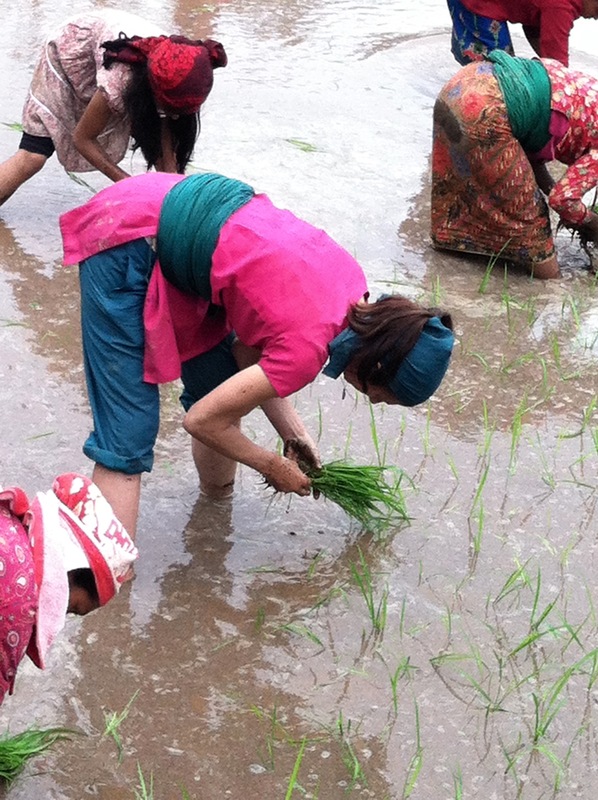 It is rice-planting season, and we hope the rains will be full. But we won’t know until the sky breaks, so all we can do is prepare seedlings and roll up our trousers. P.S. School teachers starting dental programs? Fo’ shizzle. I would love to hear what all of you out there think about the presentation I gave at UCSF’s Global Oral Health Symposium last March (beginning here at 54:30). It focuses on human rights and uprooting academy-based (*cough, elitist*) approaches to solving health care disparities in developing countries.